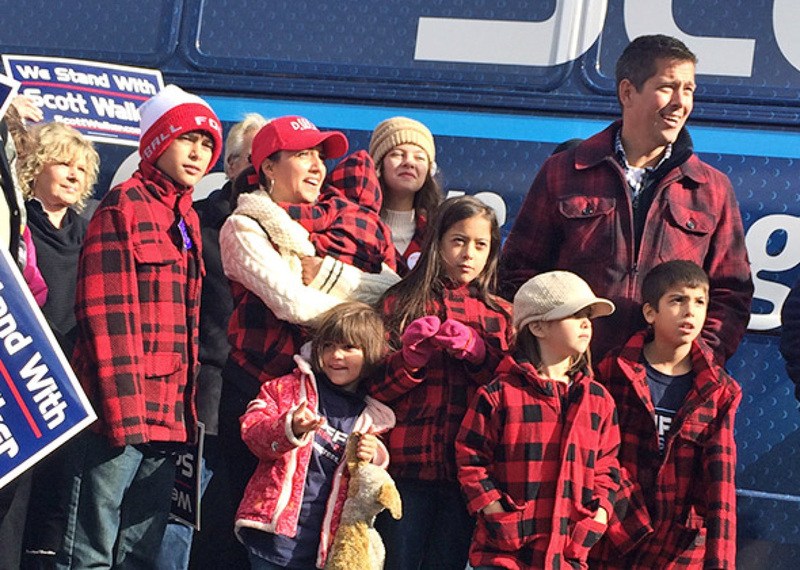 Sean Duffy was elected to his third term in the US House on Nov. 4, 2012. Additional comments by candidates about the recent debate held in Wausau, captured by WSAU 99.9 FM. Here are the highlights from the first debate between the two eager candidates that was held this past Wednesday, October 29th. If you are unable to attend a polling location on election day, you are able to fill out an absentee ballet. Do YOU want to learn more about the upcoming election so you can vote here in Oshkosh?! Dr. Tony Palmeri (Communication) & Dr. James Krueger (Political Science) will discuss: where to find research on the candidates, voter registration, voting locations, the ballot, & the voting process. The session will be informal and questions from the audience are welcome. Free pizza provided. Sponsored by UW-Oshkosh Communication Club & UW Oshkosh American Democracy Project. Supported by a grant from Wisconsin Campus Compact. Congressmen Sean Duffy and democratic challenger Kelly Westlund. For more information on congressional debate's dates and times, click here. Interested in learning about some of the other districts in Wisconsin and their campaigns? The Kansas City Star put out a nice clean overview of just that. Westlund discusses why she decided to run in the 2014 congressional race. A great article if your new to the campaign. "I considered the person who is representing me currently in Congress, and I asked myself if I would make better decisions to reflect the values of the people in my community. And the answer was yes." - And his campaign support from Wall Street and political action committees funded by wealthy industrialists Charles and David Koch. To read more of Hanson's article, click here. With conflicting schedules and many declines to meet, there is only one debate between these two candidates scheduled at this time. The Chippewa Herald recently published an article that discusses the main focus of the two candidates of the Wisconsin 7th Congressional District race. Within the article, Kelly Westlund, the candidate for the democrat party, demonstrates her focus on middle class families - a majority of voters in her district. 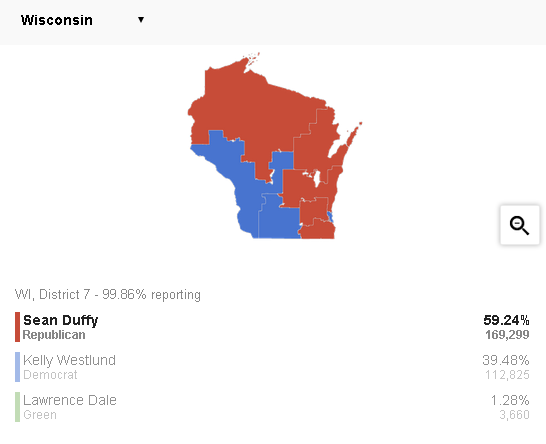 She focuses more on her district and surrounding locations, in comparison to her republican counterpart, Sean Duffy. He places more emphasis on national issues. Although both have demonstrated concern for local and national issues alike, these conclusions were formed from candidate research, something voters are doing as well. While Duffy shows his experience and obtained knowledge through his previous and current position within congress, his care for national concerns makes him appear less concerned with the needs in his district and state. Going forward, it's important to look at the big picture when considering either candidate. Duffy demonstrates overall stances, while Westlund targets local issues. In fact, some wonder if she is ready to confront the national issues. In personal opinion, Westlund makes her stances more transparent to voters, and that is something appreciated by voters. Duffy not only discusses what he's done in the past, but he also talks about ways he will progress. When looking at the two candidate's Twitter and Facebook feeds, differences are apparent. Duffy posts about his campaign and promotions. Westlund promotes her stances. This makes sense for Westlund, since she is new to this level of politics. "What do you see as the single biggest area of waste in the federal budget" and ones relating to health care, taxes, and immigration.